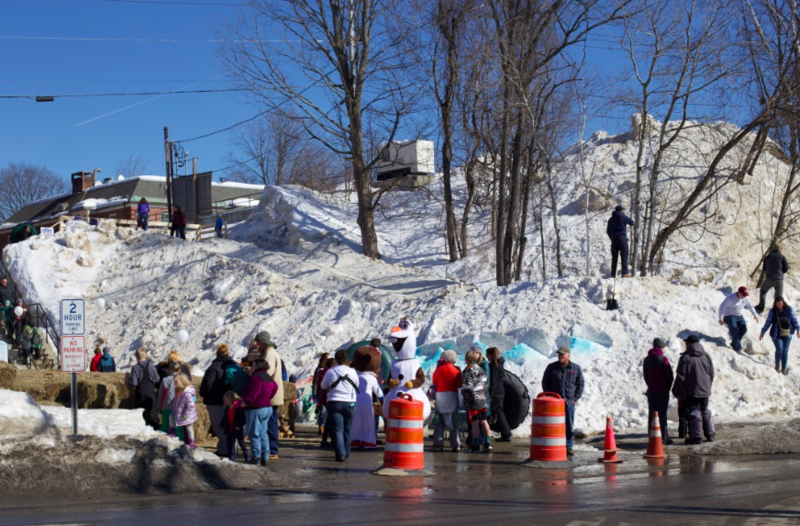 FARMINGTON - A bright, sunny day greeted festival goers Saturday at the 7th Annual Fire and Ice Festival held on Front Street in Farmington. 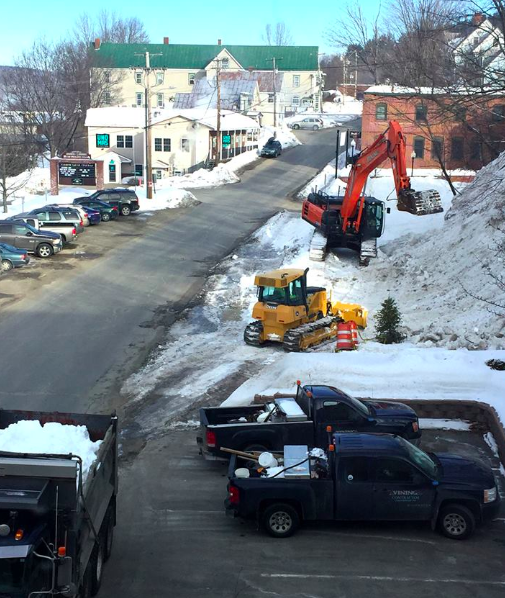 Preparations began earlier in the week with crew members from E.L. Vining & Son constructing the favorited Franklin Savings Bank Tube Park. 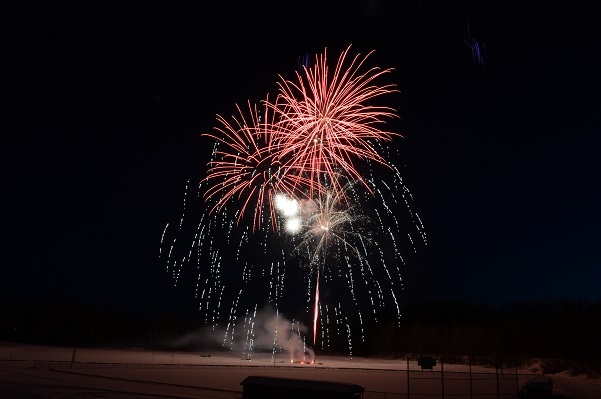 The event brought many of the regular activities, including the Tube Park, horse drawn wagon rides and free movies at Narrow Gauge Cinemas, plus several new additions such as a snow sculpting contest and a magic show. 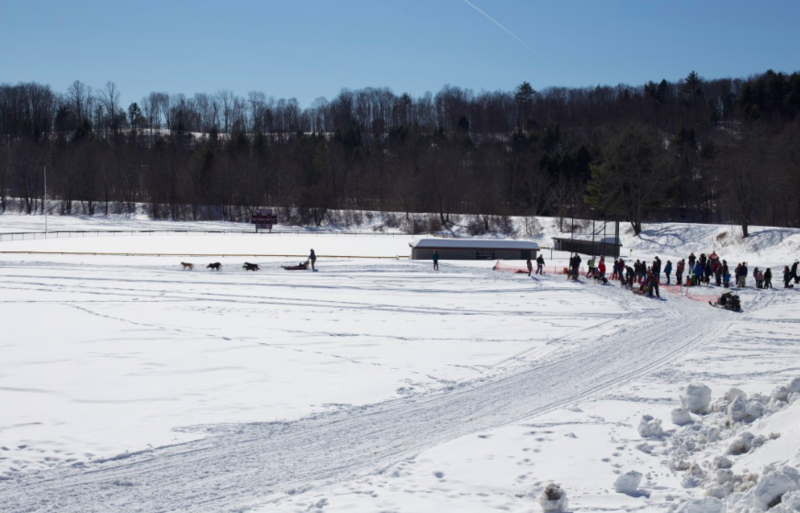 A team of sled dogs race around Prescott Field. 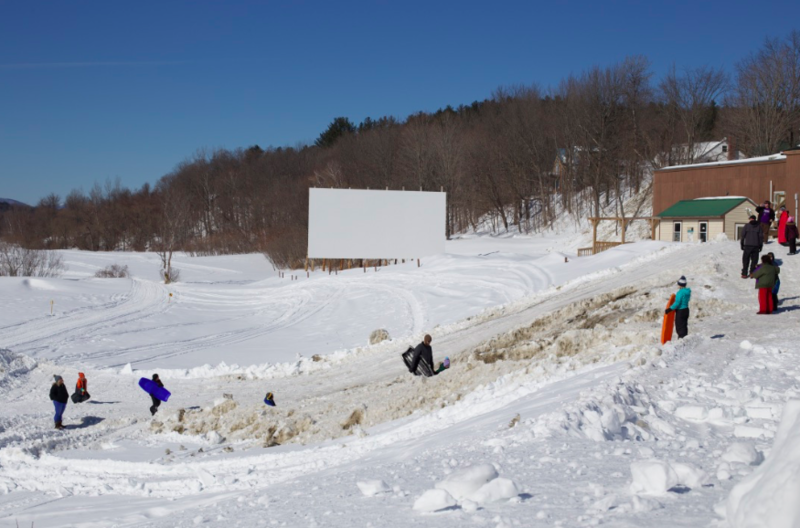 Sledders enjoy the groomed hill next to Narrow Gauge Cinemas as Big Sky Theater awaits the summer season in the distance. 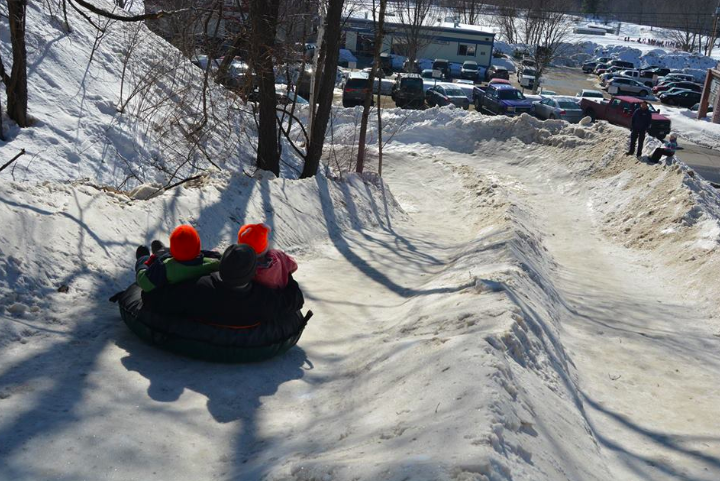 The Tube Park runs from the parking lot behind The Roost downhill to Front Street. 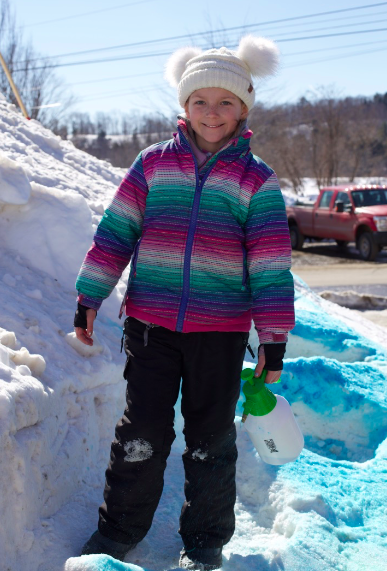 10-year-old Avery Tinker works on a snow sculpted dragon. 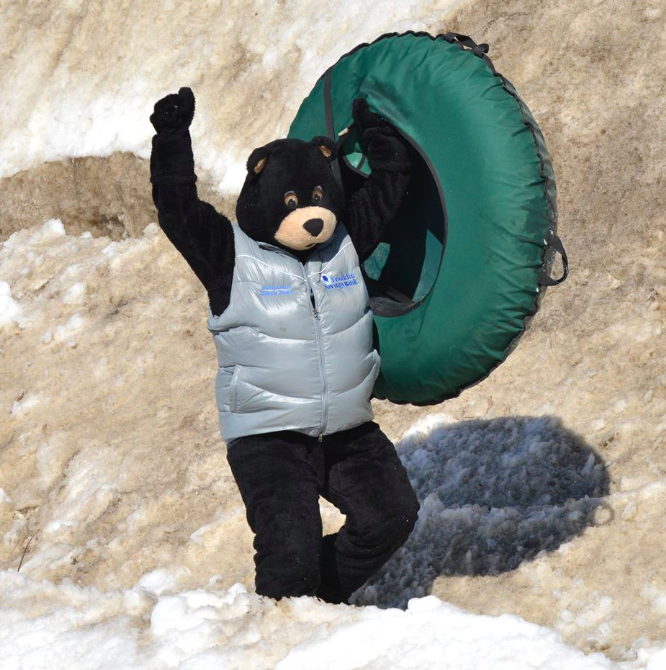 The FSB mascot tries his paw at tubing. I was so glad with the turn out. The kids as well as adults had tons of fun. The fireworks were very good. Thank you to everyone that made this a success this year!